Freelance writers are eligible to claim a number of work-related expenses as tax deductions. Claiming a deduction will reduce your assessable income and therefore the amount of income tax you’re required to pay. However, the Australian Taxation Office (ATO) strictly regulates which expenses you can claim, so it’s important that you know what you’re eligible for as a freelance writer. Typically, they fall into these five categories. 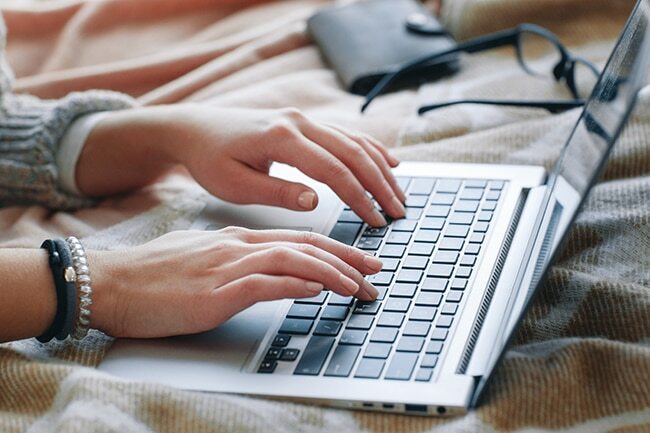 Freelance writers who work from home may be entitled to claim occupancy and running expenses, such as electricity, heating, phone and internet expenses, and furniture, in their tax return. If it’s your primary place of business, then you can claim a percentage of your rent or mortgage interest, rates, and even your household insurance. To claim for the latter, you’ll have to show that your home is also your office – by a clearly identifiable sign at the front of your house, proof that the space is not readily adaptable for domestic purposes (your dining table doesn’t count as a home office), and is used almost exclusively for business purposes. It goes without saying that, as a writer, your desktop or notebook computer is the tool of your trade. You may also require a dictaphone for recording interviews, a camera – if photography is part of the service you offer – and a range of stationery. You can generally claim up to $1,000 for tools and equipment in your return, as well as depreciation on tools and equipment that cost more than $1,000. Subscription fees for relevant magazines or publications, and for online tools, such as accounting software for freelancers are also deductions you’re eligible for. If you use a car to attend client meetings or to travel to business events, you can claim the associated costs as a deduction. If you drive your car less than 5,000km per year, you can claim a cents-per-kilometre rebate, but if you drive more than 5,000km per year you’ll need to keep a log book. If you don’t own a car, but you still pay to travel by bus, train, or taxi for work, you can include these expenses in your return. Tolls, parking, flight and accommodation costs apply too if you need to stay away from home for work. It’s not uncommon for freelance writers to display their portfolio online via a dedicated website. If you do, you can claim the costs associated with its upkeep, such as domain hosting fees, applicable security provisions, and any web developer fees. If you’re registered as a sole trader, you probably know that it’s not compulsory for you to make personal contributions to a superannuation fund. However, if you choose to do so, you may be eligible to claim your contributions as a tax deduction. This is a smart way to reduce your taxable income and set yourself up for the future. The question you should ask when it comes to almost any tax deduction is: do I require this expense to do my job? If the answer is ‘yes’, then you may have a case for including it in your return. In saying that, it’s always best to ask for advice from a qualified accountant if you’re not sure.